It seems that summer is the time that Paddy’s fans stir themselves to try and find locations associated with his travels. We have had my recent ‘On the Same Steps’ article about the Hofbrauhaus; excerpts from the New York Times frugal traveller following part of the ATOG route; the OPRIG GAGINONANUS challenge; and now the submission of Jean-Marc Mitterer from Switzerland who has been trying to solve the conundrum of the true location of The Black Sea Cave, in the context of the challenge of understanding more about Paddy’s route on his last leg in Bulgaria in 1934. Jean-Marc wrote to me a while back and we have exchanged a few emails since on this subject. He has read the story very closely (which is found in Words of Mercury but was originally published in Holiday Magazine in May 1965) and has been in contact with academics and others in Bulgaria to see if any more is known to try and narrow down the possible sites. I hope as ever that someone out there somewhere will be able to comment and add to our shared knowledge about the gaps in Paddy’s life and stories. Here is what Jean-Marc has to say …. “As you wrote, many readers of Patrick Leigh Fermor’s books imagine travelling back on the route he followed. If the first part of the trip is pretty well documented, this might turn to be a bit more challenging for the third part – Vidin, Sofia, Vitosha, Plovdiv, Veliko Turnovo, Ruse, Southern Romania, Varna, Burgas, ending in Istanbul on New Year’s Day 1935. The publication of the third volume will probably give more details but one point might remain some kind of a mystery: the cave on the Black sea where PLF spent a night in December 1934. Paddy had got lost on the coast and had plunged into either sea water or a pond near the coast. It was December and he was wet through and immediately felt the cold. He was exhausted and both his bootlaces had broken. I guess he was at a real low point, far away from civilisation; wet, cold, hungry and lost. Thoughts must have passed through his mind about how he would survive the night. “Its location is very vague: between Varna and Burgas. PLF tried to retrace it after the war from memory in the area around Nesebar, but without success. Early in 2010 Bulgarian speleologists and geography societies were asked about the existence of this place. The answers were disappointing and came with the regularity of clichés. There are well known cave areas between Kavarna and Shabla (north of Varna) and Sozopol and Tsarevo (south of Burgas). But no one knew of anything in-between. So this place must be between Balchik and Burgas. 1. No human presence seen during his day walk except a lone Tatar fisherman. 2. A cave not very deep but big enough to have hosted more than a dozen (12) people, with room enough to perform wild dances, and to house a fishing boat, equipment, and a flock of 50 goats and up to six dogs. 4. The presence of a mixed Greek and Bulgarian population [either in the vicinity] or not too far away. 5. The presence of stalactites (which is a very challenging element; according to one speleologist interviewed the rocks on the coast are not suitable for these geological formations). Considering that such a place, even if it should have been destroyed since then [Ed: can you destroy a cave easily? ], should have left some memories. 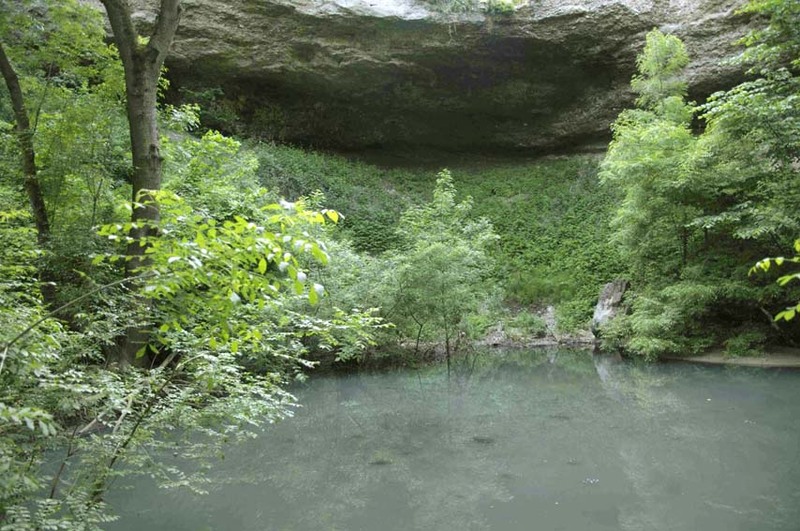 In June 2009 locals in this region – Biala, Obzor, Bania, Emine, Elenite – were asked about the cave. Though elder people remembered many old stories (the visits of King Boris, shipwrecks before the first world war, purchasing fish at the fishermen’s settlements on the coast, etc…) nothing concerning a cave used by people or the memory of a handless fisherman (who could have lived on for a couple of decades after the visit of PLF) could be found. This is not very encouraging… However, everyone remembered the presence of Greek people in this region and there are still a few elderly Greek people alive. At this stage, these informal investigations reached a dead-end… Many hypothesis could be built (maybe Paddy’s memory confused some elements – like the presence of the stalactites or the dimensions of the cave) but further research would be useful. The location of this cave is a fascinating enigma that even PLF seems not to have been able to clarify. I hope that this question will also interest you. Maybe you would consider that this issue could be raised on your website, with the hope that people having access to the 1935 notes taken by PLF (though if this data existed, I guess they would have been used by PLF during his second visit) or having a specific knowledge about the Bulgarian coast could help. I don’t think Paddy’s work has been translated in the Balkans [Ed; He is certainly known in Romania] and his work appears to be unknown in Bulgaria. For Marion Worsley, after OPRIG GAGINONANUS, and for you all, this is a slightly more difficult challenge; to find the cave on the Black Sea where Paddy was simultaneously saved and experienced one of his wilder, most impromptu experiences. Perhaps the defining episode of this blog will be the re-discovery this cave? The challenge is now out there. Truly, finding this cave will place the person that discovers it in the Patrick Leigh Fermor Pantheon. It may be a fool’s errand. Paddy may have at the same time exaggerated and been confused after the passage of time. What is not in doubt is that he spent a night in a Black Sea cave with a polyglot group of Greek fisherman and Bulgarian fisherman. What needs to be done is to find that cave. Jean-Marc has set us upon our course. Will we reach our destination? This entry was posted in In Paddy's Footsteps, Volume Three - The Broken Road, Words Of Mercury and tagged Black Sea, Bulgaria, Patrick Leigh Fermor, Words of Mercury on August 30, 2010 by proverbs6to10.